Published on 20. November 2012. 0 Comments Tags: diary, health, trivia, wisdom teeth. Don’t worry, this is not your average dentist horror story — on the contrary! Last year (Feb. 2011) I mentioned that I got one of my wisdom teeth pulled. I had been bothered for a while by an upper-right tooth that rubbed against the inside of my cheek. It turned out that I had two wisdom teeth; apparently it’s common that people have anywhere between zero and four of them, and I had only the two upper ones. They were angled out a bit so it would indeed only be a matter of time before they’d start bothering me. That tooth last year was an enviable experience. The painkiller injection was nearly unnoticeable, and then it took only a few seconds to pull the tooth. No pain, no blood. Just me being somewhat surprised at how unspectacular this was. Later, when the painkillers lessened, it still felt completely normal, that is if you ignore the weird sensation of a hole in your gum where the tooth used to be. Lately, the remaining top-left wisdom tooth had begun to bother me in the same way, so with the above experience I was in a good mood as I made another appointment at the dentist. I’m glad to report that there is no horror story to tell. If anything, the whole affair was even shorter this time; it took a few minutes from start to finish. No blood, no pain, no problem. 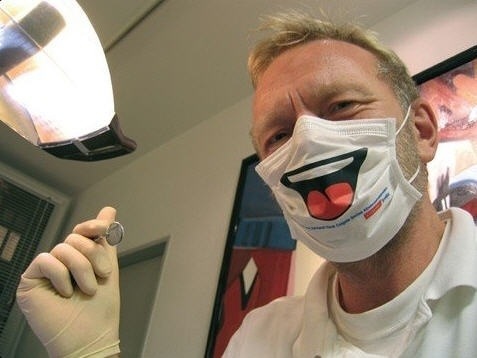 I wish that everybody would have such wonderful experiences when they go to the dentist. Somehow, all you hear is the bad stuff. Well folks, here is some good stuff you can share.